If the decision becomes final, it clears the way for distributed and clean resources to take the place of a gas peaker. It's beginning to look like NRG's proposed Puente gas plant may never see the light of day. The California Energy Commission members assigned to draft a proposed decision on permitting the contested peaker plant unveiled a surprise sneak peak of their thinking Thursday. "It is clear to us that the Project will be inconsistent with several Laws, Ordinances, Regulations or Standards (LORS) and will create significant unmitigable environmental effects," wrote Commissioners Janea Scott and Karen Douglas. "This, in turn, requires us to consider feasible alternatives that avoid or reduce those impacts and inconsistencies." 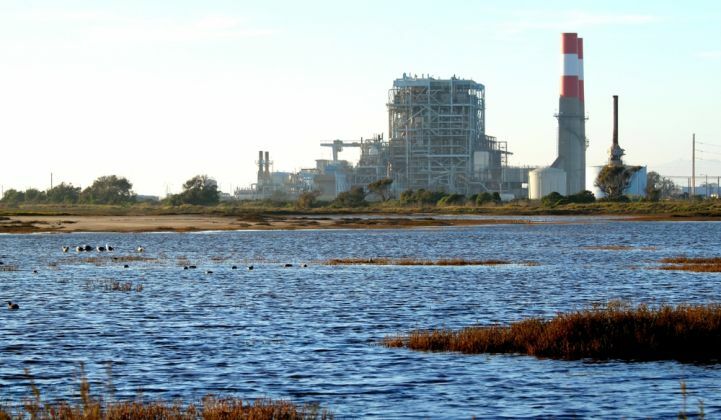 Utility Southern California Edison selected NRG's proposal years ago to resolve a future reliability constraint in the region of Oxnard, on California's central coast. Since that time, energy storage and other distributed energy resources have matured and proven their ability to respond quickly to grid reliability needs. That evolution prompted clean energy advocates, environmentalists and the City of Oxnard to oppose a new gas plant on its shore when cleaner options were available. Puente has developed into a test case for energy storage to challenge the need for a new gas peaker plant. The storage industry has long said it is capable of displacing new peakers, which cost a lot of money but rarely operate, but it has had few opportunities to prove this. What's new here is that California's grid operator agreed it could be done. In a study released in August, the California Independent System Operator found that storage and DERs could perform the technical needs that Puente would fulfill for local grid reliability. It would cost significantly more, though, according to that analysis. Greentech Media reported that month that the storage pricing data used in the CAISO study was out of date and overestimated the costs of a storage solution relative to the gas plant. Subsequently, CAISO filed a document September 29 suggesting that the only way to know for sure how much a storage and DER alternative would cost is to run a new request for offers, and let the industry supply competitive bids. "There appears to be an opportunity to conduct an expedited RFO and operationalize preferred resources prior to the summer 2021 timeframe,” the filing stated. It was that note of urgency that prompted this week's early notice of the intent to reject Puente's application. "While we have no current information about whether an expedited RFO is forthcoming, the timing constraints identified by the California ISO lead us to conclude that it is prudent to communicate the Committee’s position before we complete the [presiding member's proposed decision]," the letter notes. When surveying the record of evidence, the commissioners see "significant unmitigable impacts" from the proposed gas plant. Meanwhile, the grid operator has attested that other alternatives can meet the need without imposing the environmental impacts of a new gas plant with several decades of lifespan. Based on the available information, the commissioners see no reason to override the impacts and allow the gas plant to move forward. There's a lot left unsaid here. Some of the confusion stems from the state's web of interweaving energy institutions. The CEC has authority to evaluate the environmental impacts of power plants approved by the California Public Utilities Commission, with CAISO advising based on its expertise. The wording of the letter indicates the commissioners are waiting on someone else to seize the opportunity to launch a rapid RFO. This early notice is intended to give that entity reason to get the process started. 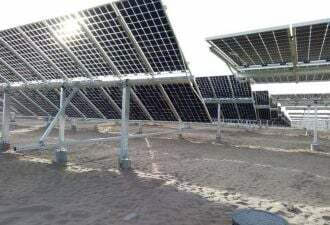 Typically, energy procurement requests are carried out by utilities under the supervision of the CPUC, so SCE and the CPUC would be the logical audience for this remark. Whether SoCal Edison has an appetite for re-running a procurement it already completed remains to be seen. This is not the end of the procedural road on the CEC's side, either. Commissioners Scott and Douglas still need to formalize their opinion in a proposed decision, gather comments on it and send it to the full commission for the final decision. Puente is not dead yet, but its prognosis has certainly dimmed. Now the question is what sort of action this unusual step kicks off among the relevant institutions, and whether that leads to the energy storage deployment that CAISO says is possible. Join GTM for a deep dive into the budding domestic energy storage market at the U.S. Energy Storage Summit 2017. Utilities, financiers, regulators, technology innovators, and storage practitioners will all come together for two full days of data-intensive presentations, analyst-led panel sessions with industry leaders, and extensive, high-level networking. Learn more here.